Daniel's Cheese & Deli is a family owned business that brings cheeses from all around the world into locations that are accessible to you. Our specialty is Canadian cheddars. Daniel's portfolio holds cheddars between the ages of 2-19 years old, both orange and organic white and are handled with special care. One of the things that makes us unique is the fact that we naturally age our cheddars in-store with precise temperature settings to ensure our cheeses age properly, which results in creating the right texture and taste for your purchase. Most importantly, our passion is to see every customer that walks in as a stranger to leave as a friend. Whether you stop by at one of the farmers' markets or visit the store, you'll be sure to be treated like family! Our Canadian cheddars are naturally aged and range from 2-19 years old. We hold both orange and white organic. Our 50+ imported products come from over 10 different European countries. These cheeses will definitely spice up your cheese tray. 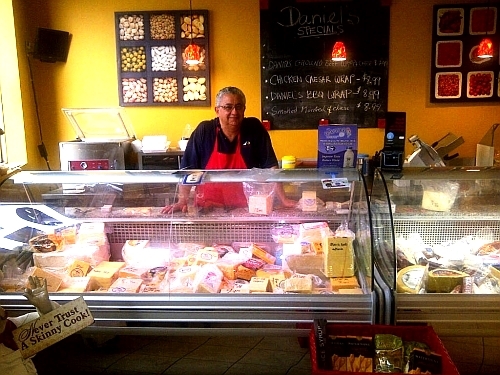 We carry a wide variety of domestic cheeses. We're also famous for our cheese curds that come in every week at both the store and farmers' markets. Our Dips. Aside from our cheeses, Daniel's has their own roster of garlic and feta dips that are the talk of the town. Our dips are one of the main pillars that makes Daniel's a unique place. With over 12 different varieties and additional seasonal flavours that come every Christmas & Thanksgiving weekend, the word is spreading about these one-of-a-kind garlic dips. Our fresh ingredients constantly deliver a consistent and satisfying snack that have people always scooping the very last bit of their containers. Our dips have no hint of preservatives, artificial flavours, dairy, colouring or mayonnaise. With simple ingredients and the right technique, our product stands out from our competitors by being a healthy and wonderfully tasting treat. 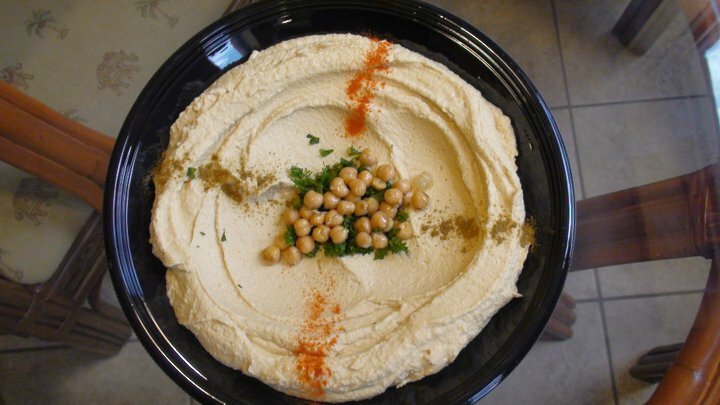 We also bake our very own Pita Chips sprinkled with a unique blend of spices and herbs. Our in-store oven transforms ordinary pita bread into a flavour-popping sidekick that match well with our dips. 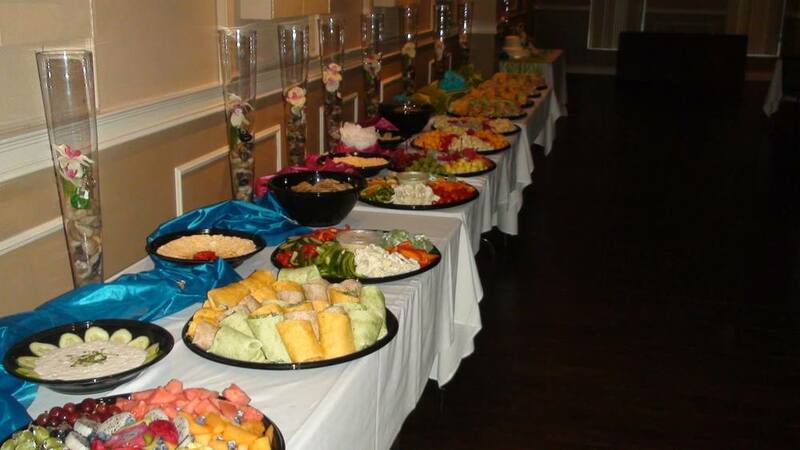 We cater. 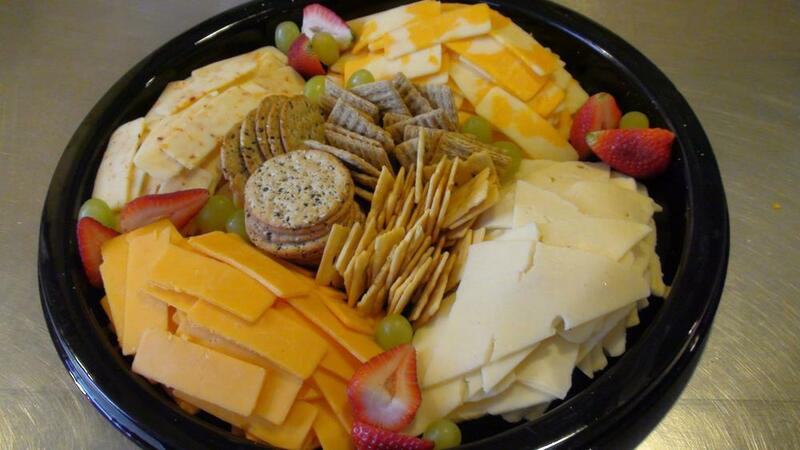 Our deli specializes in creating beautiful dishes and cheese trays for any occasion. Below are reviews from a few of our many happy customers. "I could probably write an entire book describing and explaining the tasting experience that I had during a few hours pillaging George's cheese case. But I've decided to boil it down to this...George has nurtured his cheddar from mild to wild and everything in between." " [...] Some of his customers are coming from as far away as Thunder Bay, Sault Ste. Marie and North Bay to buy hundreds of dollars worth of his products." "This place is awesome. The guy is so friendly and really cares about each and every customer. This place is a bit hard to get to by bus, but its worth it. I'll be back. Everything about this place is amazing."